Do you know you want to give someone flowers for Valentine’s Day, but don’t know which blooms you want to send? There’s a world of gorgeous flowers waiting for sending, and receiving, this Valentine’s Day so dive in and explore all of the amazing options. The right flowers for you to give for Valentine’s Day will depend on what message you want to give to your special someone for the holiday, and what you think your intended would love. You can send flowers that signify deep and forever adoration, or you can give blooms that offer casual or familiar kind of love. There are surely flowers out there that anyone, whether they’re your lover or close friend, will appreciate this Valentine’s Day. What Colors Does Your Recipient Like? Some people respond best to traditional and dramatic colors like red and white. Others love bold and vivid hues, such as blue and purple. When choosing the right flowers for your Valentine, think about what his or her favorite color might be and what color of flowers would look beautiful in the space your recipient will keep the arrangement in. 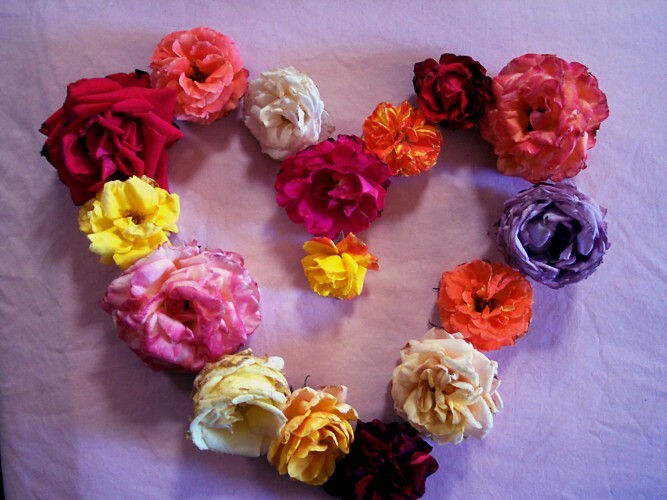 Does Your Valentine Have a Favorite Flower? It’s fun to buy flowers for someone who will absolutely go crazy over them when they arrive. This is possible when you choose flowers that your giftee has expressed as his or her favorite. Does your Valentine like luxurious and stylish flowers like orchids or lilies? Does he or she prefer easy-going blossoms, such as daisies or wildflowers? Think about whether you’ve heard your beloved or friend mention a favorite flower, or casually inquire before Valentine’s Day. We think that any time you’re not sure what flowers to buy for someone, roses will make any ideal choice. You don’t have to buy a dozen red roses. Consider a charming little arrangement of white or pink roses in a glass bowl. Or, send a multi-colored rose bouquet with white, red, orange, pink, yellow, and purple roses. When it comes to choosing flowers for Valentine’s Day, the best thing to do and the thing that will win almost anyone over, is to simply choose and give from the heart. Your giftee will likely know that you’ve reached inside your soul for the appropriate token of affection, and he or she will appreciate the honest gesture. Do you know you want to give someone flowers for Valentine’s Day, but don’t know which blooms you want to send? There’s a world of gorgeous flowers waiting for sending, and receiving, this Valentine’s Day so dive in and explore all of the amazing options. The right flowers for you to give for Valentine’s Day will depend on what message you want to give to your special someone for the holiday, and what you think your intended would love.You can send flowers that signify deep and forever adoration, or you can give blooms that offer casual or familiar kind of love. There are surely flowers out there that anyone, whether they’re your lover or close friend, will appreciate this Valentine’s Day.